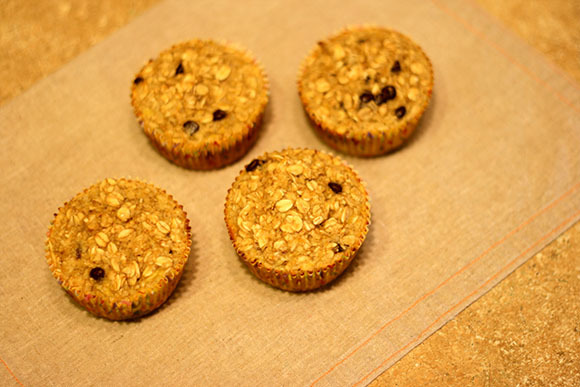 These oatmeal cups are pretty tasty! 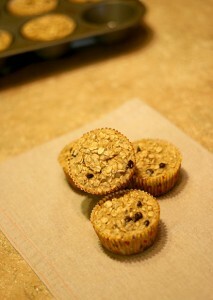 I was thinking they were going to be like muffins when I made them, but they are really more like baked oatmeal. It stays together like a muffin, but since there is no flour it has a different texture. The kids liked them too! My kids don’t really eat oatmeal, so this is a great substitute for oatmeal. Also, no sugar! OK, there is sugar in chocolate chips, but I couldn’t leave them out. I hope you try out these Banana Oatmeal Cups with Chocolate Chips! Enjoy! 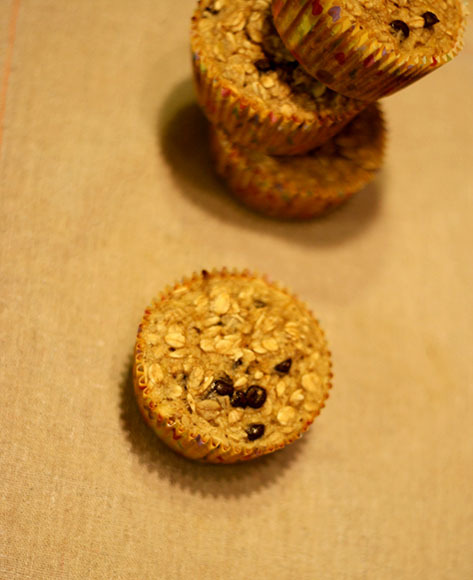 Mix together bananas, almond milk, eggs, baking powder, oats and vanilla together either by hand or in a stand mixer. Stir in chocolate chips. Either spray muffin pan or line with paper liners. This makes slightly more than one muffin pan worth, so you will need two pans. Divide batter among 15 muffin cups. Bake until the edges start to brown, about 25-30 minutes.